Stand 13 - Tollgate House, the former Tollgate Inn until 2008. It stands on the junction of St Martin's Church Street, Tollgate and Rampart Roads. During the 1950s, the New Forest Laundry occupied the large site that once was Armitages. Although unaffected by the construction of Churchill Way, the premises were demolished as part of a new housing development. 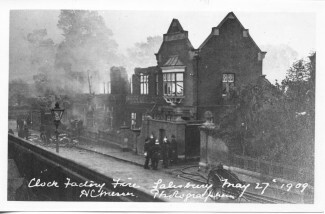 Clock Factory fire Tollgate Road, May 27th 1909. 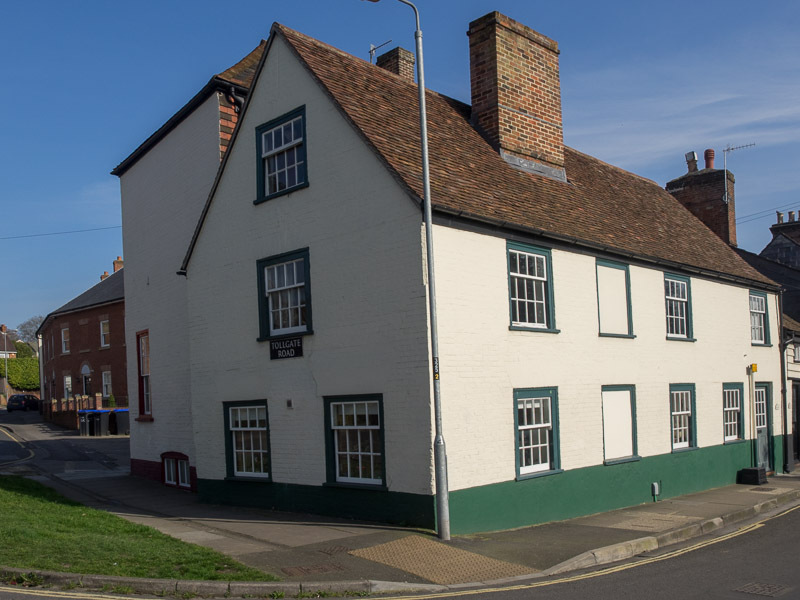 When you reach the junction of St Martin’s Church Street, Tollgate and Rampart Roads, there is a characterful old building on your right – Tollgate House. Until 2008, this was ‘The Tollgate Inn’ – now another of Salisbury’s lost pubs. You can imagine what an interesting old pub this was. 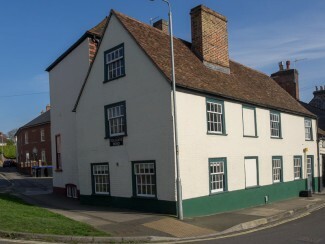 It was previously known as ‘The New Inn’ and had a history going back to the 18th century. Its situation, at the junction of St Ann Street and the Southampton Road, made it an important wayside inn for travellers to and from the City and, until its re-development, its stables and stable yard survived as evidence of this. Immediately opposite the inn stood Armitages’s Foundry – another example of ‘heavy’ industry in old Salisbury. It has now been replaced with modern houses. It functioned from 1825 until well within living memory of some of our interviewees. When it became defunct, the site housed a large steam laundry. As a foundry, it boasted a chimney 80 feet tall and from here you would also have had a clear view of the Invicta Leather Works’ chimney. 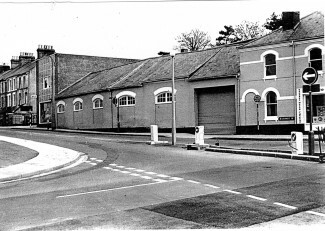 Add to this the nearby Clock factory and the old railway which we shall be shortly coming to, you would have been aware that Salisbury had industrial districts as well as tourist attractions. 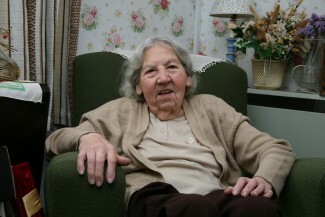 Phyllis Maple remembers helping her mother scrub the floors in the New Forest Steam Laundry in Rampart Road, opposite the Tollgate Inn. Listen to the audio clip to the right of the page or from the MP3 file on the Downloads page. The width of the Tollgate Road gives us a clue as to how important it has been in the past. Until the 1970s it was the Salisbury end of the main road to Southampton – as we’ve seen – carrying the City’s traffic onward from St Ann Street. It was also the main ‘feeder’ of Salisbury’s major railway freight yard, which we’ll shortly come to. It actually used to be called ‘The Southampton Road’. The name ‘Tollgate Road’ only came in after the Ring Road usurped its original function. But the new name had significance too. In the 1760s most of our arterial roads were farmed out to turnpike trusts – private companies that had a duty to maintain the roads and the right to charge travellers a toll for using them. The tollgate was literally a gate that you had to pay to have opened for you. Our road was obviously well maintained, if we are to believe the traveller quoted above. Walking down the road towards the obvious pub you pass a small car park on your right, alongside a rather derelict looking building. This building is owned by Salisbury College. Until 1909, this was the site of ‘The English Clock Factory’, a highly successful firm producing watches and clocks. Owned by the London clockmakers Williamson and Son, under its German manager Herr Bley, the factory went from strength to strength. Then, sadly, a disastrous fire in 1909 destroyed it almost completely. There was some recrimination locally. 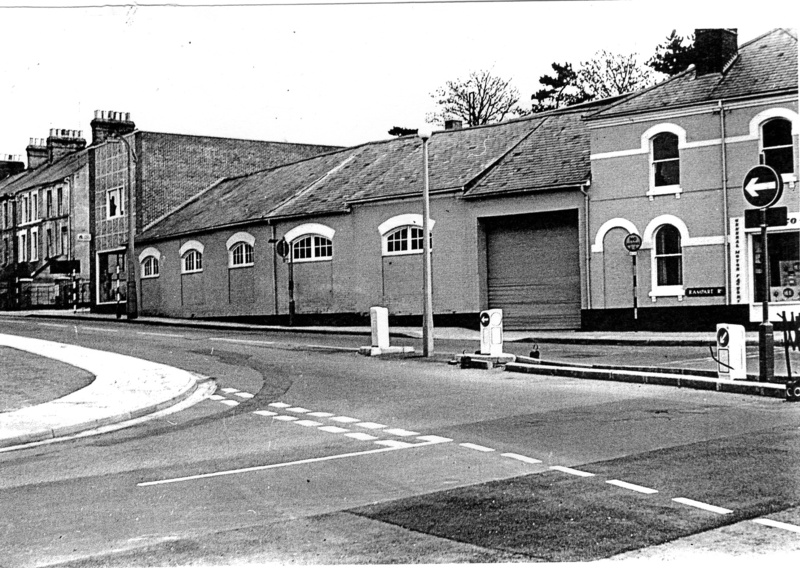 It was alleged the fire brigade’s hoses lacked water pressure because the factory, as you can see, stood on a hill. Although no one was killed or injured, it was a tragedy, because Herr Bley was employing several hundred local people in skilled and well paid work. A relief fund was got up and steps taken to find re-employment for them. But the factory was never rebuilt and the coming of the War a year or so later put paid to any idea that it might. Now go further down the road until you come the Dusthole pub. Cross the road carefully.